The Supreme Court on Tuesday agreed to hear a PIL filed by BJP leader and advocate Ashwini Kumar Upadhyay seeking complete ban on Rs. 500, 1,000 and 2,000 currency notes. A bench comprising Chief Justice TS Thakur, Justice DY Chandrachud and Justice L Nageswara Rao has agreed to hear the petition along with other PILs relating to demonetisation listed on Friday (2nd December). The petitioner also seeks a direction to the government to take appropriate steps to withdraw all direct and indirect taxes except custom and import duties; and implement a banking transaction tax on receiving / credit account. The petition alleged that high denomination currency of over Rs. 100 is used in illegal activities like terrorism, naxalism, separatism, radicalism, gambling, smuggling, money laundering, kidnapping, extortion, bribing and dowry. “It also inflates the price of essential commodities as well as major assets like real estate, gold etc. 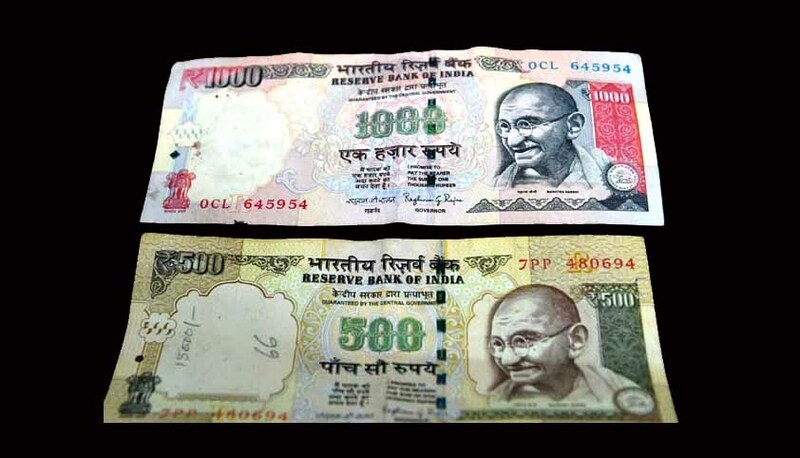 These problems can be curbed by recalling high denomination currencies above Rs. 100 and making legal provisions to restrict cash transaction up to the limit of Rs. 5000. Black money holders would be forced to deposit their unaudited money into banks and it will take years to generate that amount of black money again thus in a long way it will help in putting an end to the black economy. Another benefit is that people will deposit their money in banks; government will get a good amount of revenue, which can be used for betterment of society and to provide good infrastructure and other facilities to needy people,” the petition stated. The petitioner also claimed that if the government recalls higher denomination currency above Rs. 100 and restrict the cash transaction up to the limit of Rs. 5,000, it could lead to an increment of 4% in the annual growth rate. c) take appropriate steps to withdraw all direct and indirect taxes except custom and import duties; and implement a banking transaction tax on receiving / credit account. d) provide citizen charter in every department to ensure time-bound delivery of goods and services and redressal of grievances in spirit of Article 21 of the Constitution.